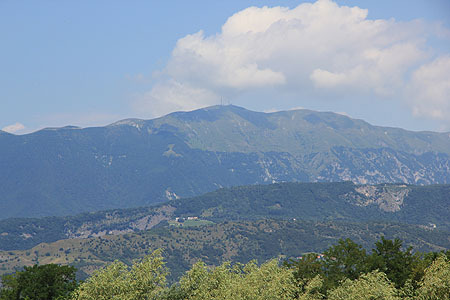 This mountain is located directly north of the town Vittorio Veneto, located almost directly north of Venezia. 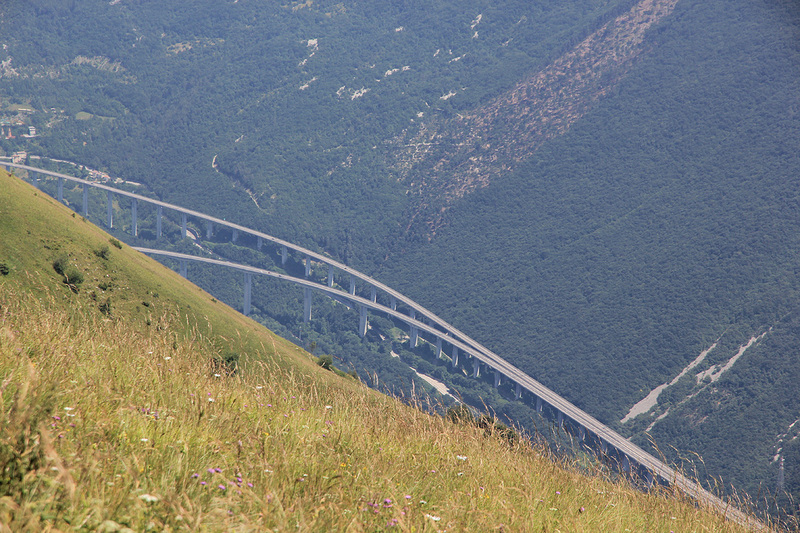 The road heads up the hill from an area very close to the north exit of the autostrada (A-27) that runs north in the valley just east of the mountain. The road runs all the way to the summit, but it is pretty rough the last several kilometers. Here is an overview of peaks climbed at my Europe 2012 summer trip. Depending on where you park your car, just continue to follow the road to the summit. 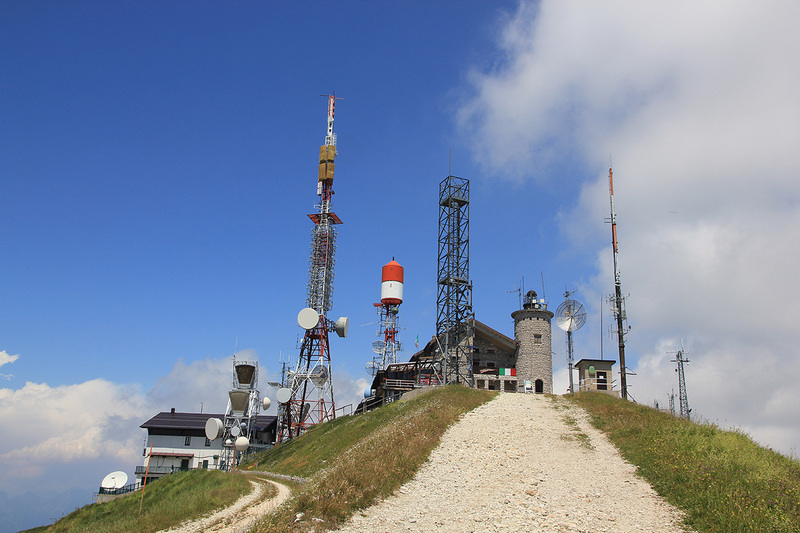 There is a Rifugio (as well as several antennas) at the very summit. We drove up the paved part of the road and continued carefully along the first part of the rough gravel road. Since a hike would be nice, we parked near a local col at location N46:02.540, E012:16.299, elevation about 1425 meter. 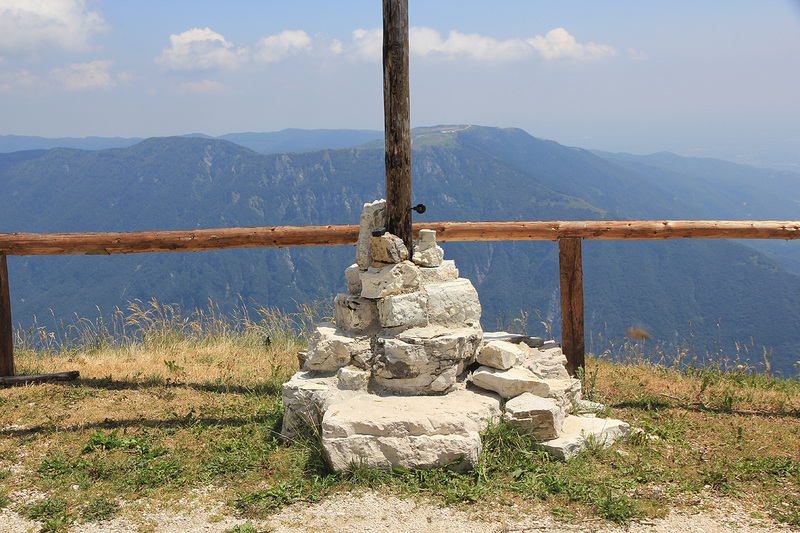 We left the car at 1245 and arrived at the summit around 1325, having gained a bit more than 300 vertical meter. 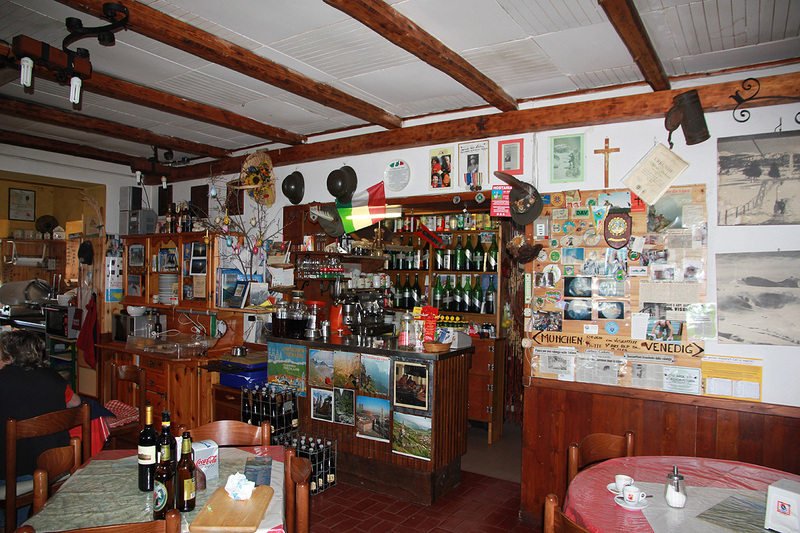 The rifugio sold ice cream and coke (and much more). 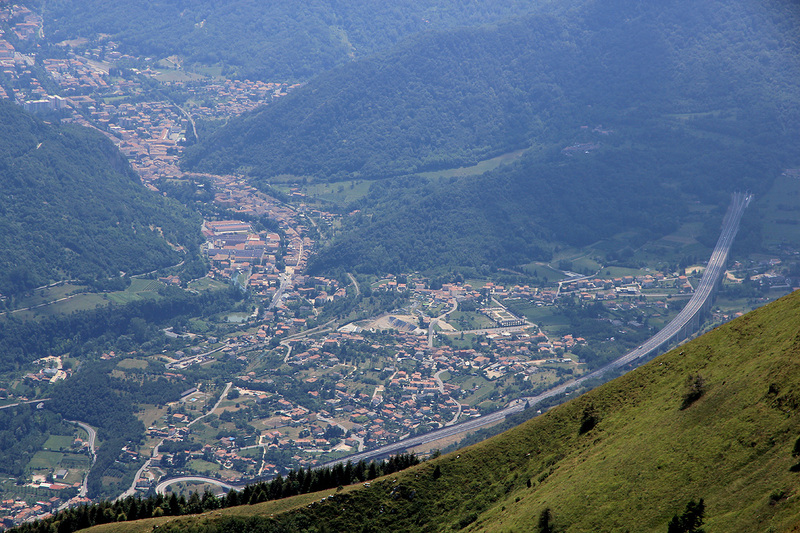 Visentin, as seen from the valley.